Feel like your life is too comfortable? Why not have a little brush with death then? 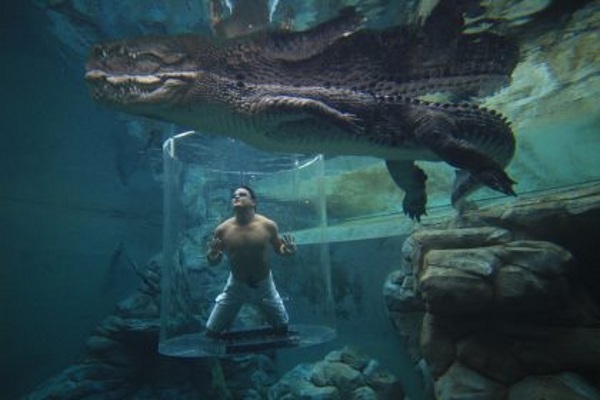 The Cage of Death allows you to get up close and personal with crocodiles aka a killing machine so perfect it hasn’t changed for a millennium for your next vacation. 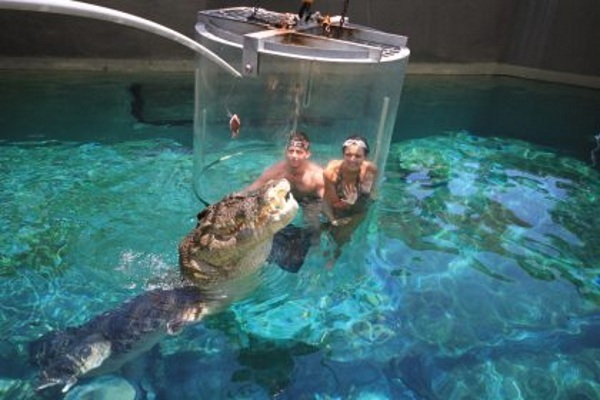 During the dive, which is 15 minutes and can hold up to two people, you are inside of an enclosed tube where the crocs can swim all round you. They can’t get to you through the glass however so you’re perfectly safe. You’ll be able to see them swimming, up close and personal. You may also be able to see them eating as they are feed regularly while in the tank. Perfect for people who are really into the natural world. The Cage is part of a full reptile themed pack. For one person, the experience costs $170 AUD.